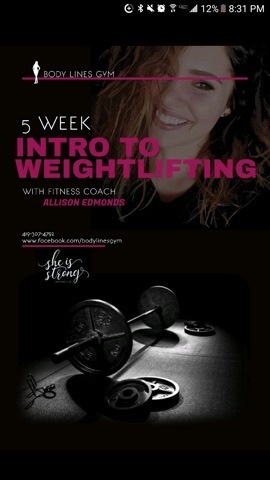 Allison will be teaching proper form, full muscle contraction, machines, free weights and some higher intensity moves to help burn off more calories in a shorter period of time. Hop off the treadmill and get comfortable with the other side of the gym! For beginners and seasoned weight lifters.